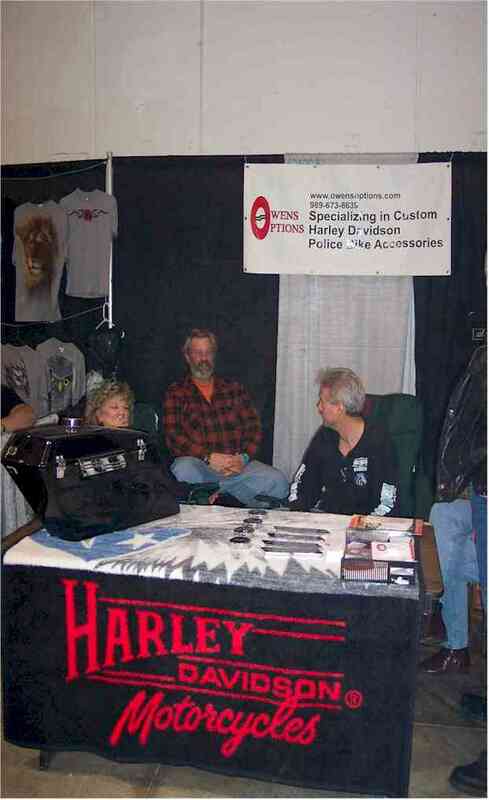 featuring the guys from Orange County Choppers! along with Owens Options' owners Jim Owens and the Hooter Girls! Paul Sr. and Paul Jr. from Orange County Choppers signed autographs for those who waited hours to meet them! 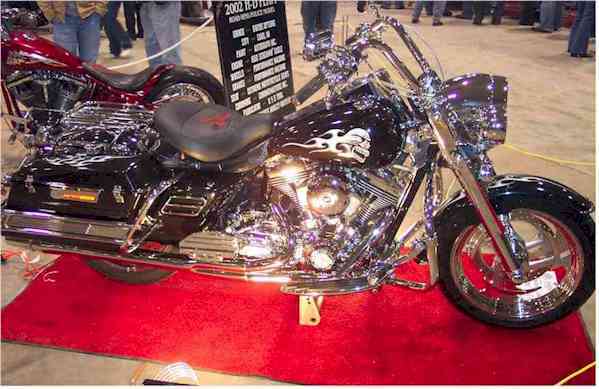 Jim's 2002 FLHPI (Road King Police) Harley Davidson, which was showcased at the Birch Run show. What a sharp bike!! 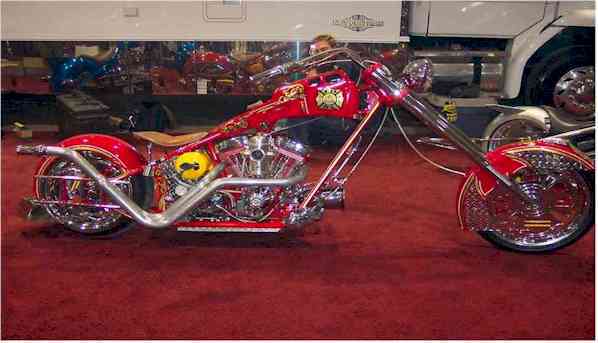 Orange County Choppers brought several bikes to show, including the famed Fireman's bike. WOW!